(January 8th, 2019) The multiple award winning podcast The White Vault has just surpassed 1 Million Downloads. Slightly over a year old at only half way through its second season, the free ‘found footage’ horror fiction podcast has already reached the top 3% of podcasts worldwide. The story follows the collected records of a repair team sent to a remote research station in the Arctic Circle to discover the source of a mysterious signal. 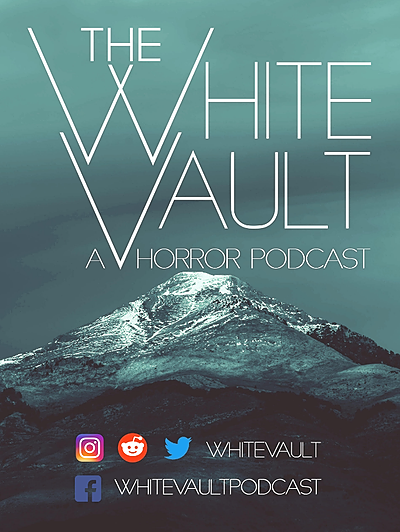 Often cited as Intellectual Horror, The White Vault chills listeners to the bone without jump scares and has grown a cult following, selling out a live show in New York City last year, where they opened for the NoSleep Podcast. The White Vault is currently a finalist for five additional awards for sound design, writing, production, and acting. The White Vault, is a slow burn story with keen attention to scientific accuracy, calling back to the older era of horror akin to the works of M.R. James and H.P Lovecraft. For instance, the show’s spinoff series – Artifact, revolves around a doctoral student at Oxford University charged with the examination and care of a mysterious artifact. The White Vault aims to frighten and entertain, but avoids the over-use of gore-horror and instead focuses on suspense and physiological horror. The element of extreme isolation also draws parallels to Alien, The Thing, and Fortitude. The White Vault is available for free on iTunes, Spotify, Himalaya, Pandora, and almost all podcasting apps. As the series continues through its second season, only one thing is assured: It’s going to be cold. 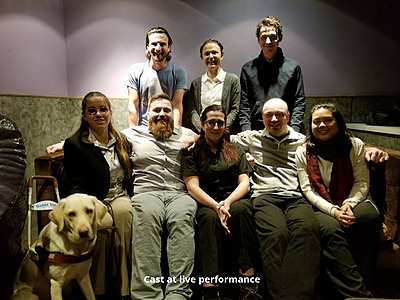 The White Vault has received critical acclaim for its diverse cast, immersive soundscape, and use of different languages. The show’s international cast are all bilingual, and segments of the podcast cleverly showcase these languages, fading narratives from a character’s native tongue into English, with the same actor reading both parts. The White Vault features English, Spanish, Icelandic, Finnish, Russian, Danish, German, French, and recently announced that future works will feature the critically endangered language Manchu. In addition to endangered linguistics, the show’s creators have also donated a portion of merchandise proceeds toward polar bear conservation.